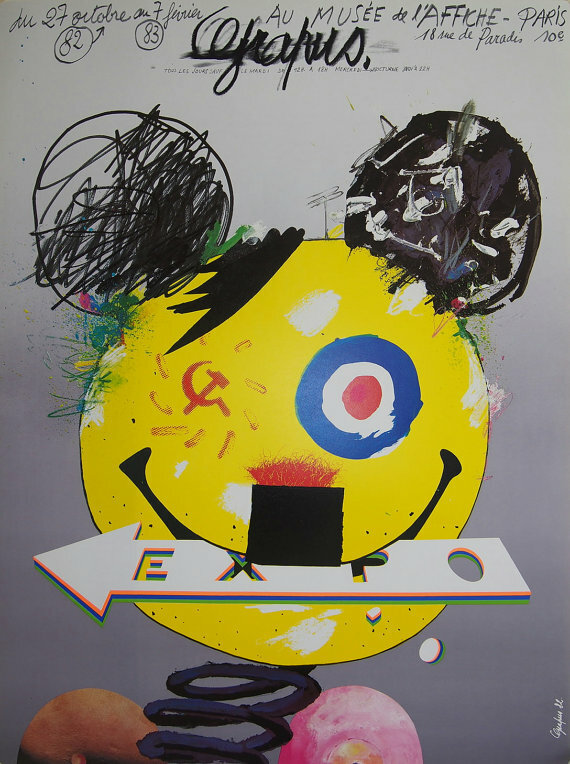 Grapus was a group of designers led by Pierre Bernard and founded in 1970 in France; it lasted until 1999. 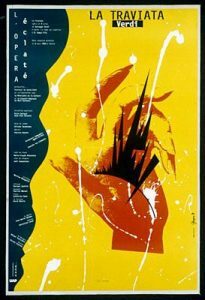 Grapus was founded after the student strikes in Paris in the late 1960s and adhered to culture and politics and scorned advertising. All works were signed Grapus. Their political views were communist and each was a party member. Grapus “often used bright colors, sensual forms, handwritten text, high-spirited visual pranks, and also very extensive symbolic vocabulary. The technique they used was known as detournement, which is the rerouting of a message through acts of visual vandalism” (Wikipedia). In an interview in Eye Magazine, Bernard credits the Push Pin Studio with the “notion of the relationship between the image and typography” and their sense of calligraphy came from Poland. Right! 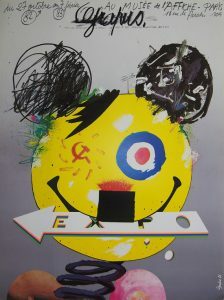 (I don’t like Mickey Mouse) From 1981, and part of a series for an exhibition of posters at the Louvre, the image is likely a response to Disney’s plan to open a theme park in Europe. The exact location was not decided until the mid-1980s, so it seems Grapus’s response here was to the overall plan and Disney in general. 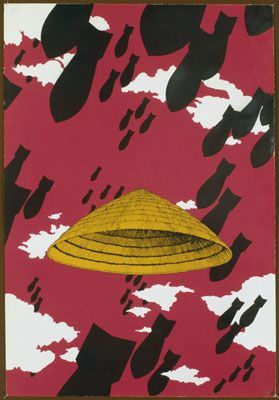 Part of a series of posters regarding US war in Vietnam in 1970. The 10-part series varied in color but the images remained the same. Part of a series of posters for Opera in the City. The image is bewildering, as I cannot relate it to any part of Traviata. To Grapus, what made good design visuals was the strong conflict between form and content. Considering this, is the visual comment on the severing of her palm lifeline what the image depicts? It is not on suicide, as Traviata died from consumption. Poynor, Rick. “Reputations: Pierre Bernard.” Eye Magazine. Eye Magazine, n.d. Web. 3 Apr 2014. <http://www.eyemagazine.com/feature/article/reputations-pierre-bernard>.